Happy “Color Monday!” This is the day devoted to all things color and inspiration. Today, we're celebrating an adorable mint and navy wedding from Anna K Photography. 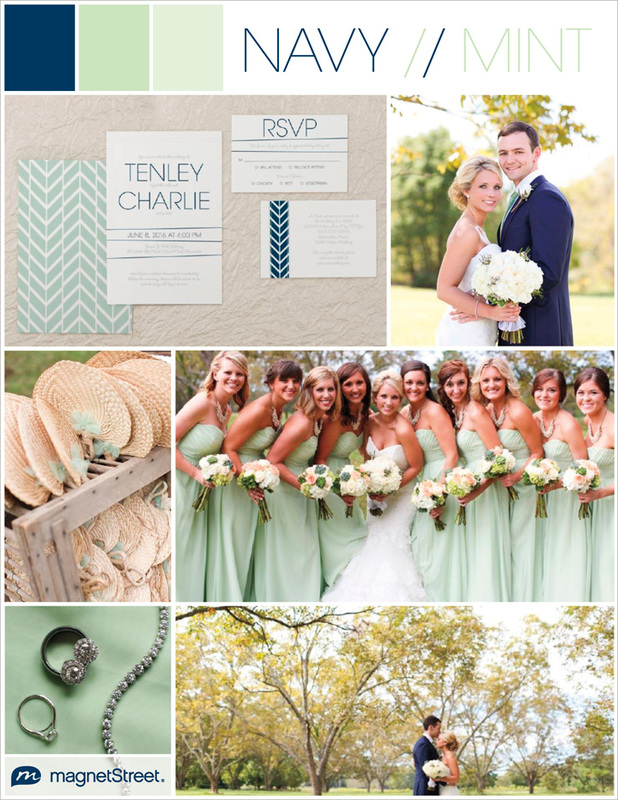 So soft and pretty--mint and navy is fabulous for a fall wedding. Navy is a sleek color that emanates calm and confidence. Mellowing the navy are two greens--both soft and gentle. This gorgeous combo has a youthful, fresh and natural look and feel. And to set the tone for this event, we went with a modern invitation suite entitled, Forever Mine. Simple yet visually interesting, the back of the invitation and enclosure card feature a classic pattern while a bold and contemporary typography style keeps our attention focused on the couple. Super fun--clean and contemporary! What do you think of our featured suite as well as mint and navy for a fall wedding? The Forever Mine invitation suite is an eye-catching design that features a timeless pattern with contemporary fonts. What would this design look like in your wedding colors? Make a statement by carrying your look further with this design on a Shaped trim. Want to see it for yourself? Submitted 3 years 8 months ago by Heidi. I love this color palette. The mint brightens everything up and the navy makes it pop. Beautiful! !